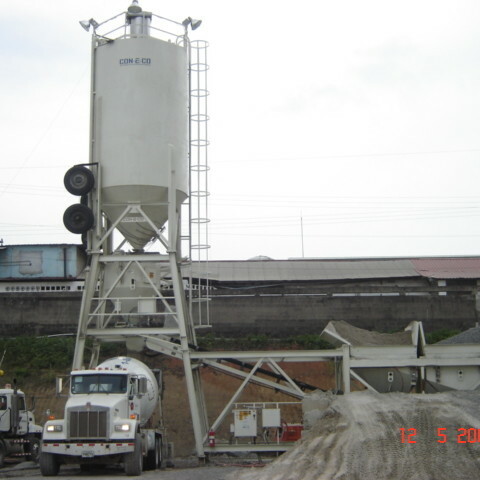 The CON-E-CO Batchmaster series mobile portable batch plant design allows up to four cement compartments mounted on the plant to reduce foundation costs. The Batchmaster is factory pre-wired and pre-plumbed, eliminating multiple field connections. The Batchmaster batch plant offers superior strength and large storage capacities. The Batchmaster can be delivered in a single load, including up to a 565 bbl silo and 48 cubic yard aggregate storage bin.